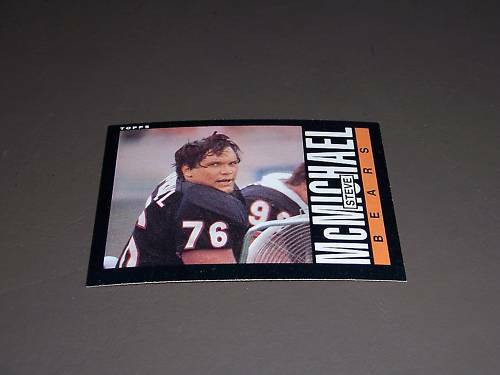 1985 Topps Rookie Card of former Chicago Bears star defensive tackle Steve McMichael. ExMt/NrMt or better condition. ONLY 4 AVAILABLE FOR SALE.